Sign Up For Weekend Chicken Care! 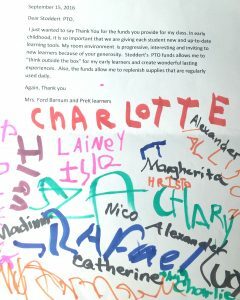 The Stoddert PTO received the following letter from our school’s Pre-K class. 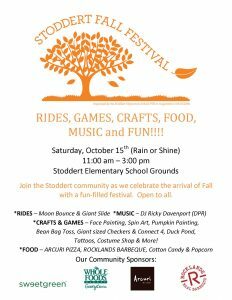 Know that your PTO dues and volunteer support of each and every student at Stoddert is making a difference in the daily lives of our students.